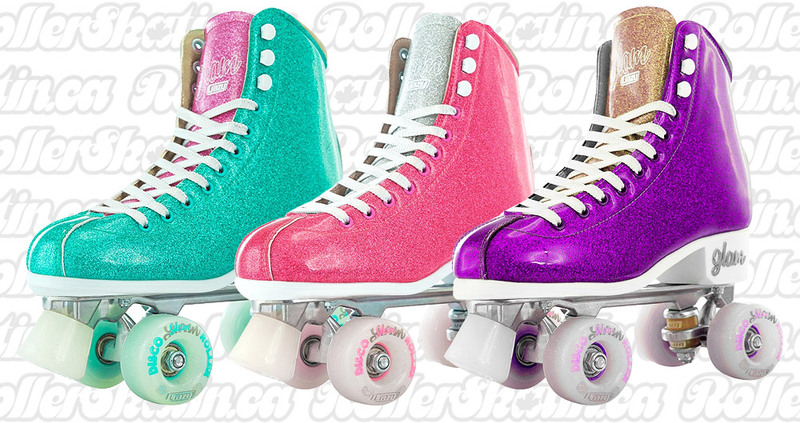 The Disco GLAM Roller Skate makes you the centre of attention - featuring a lustrous glitter sparkle finish on a Retro Style Boot with a padded rolled collar you can skate for hours and look great at the same time! 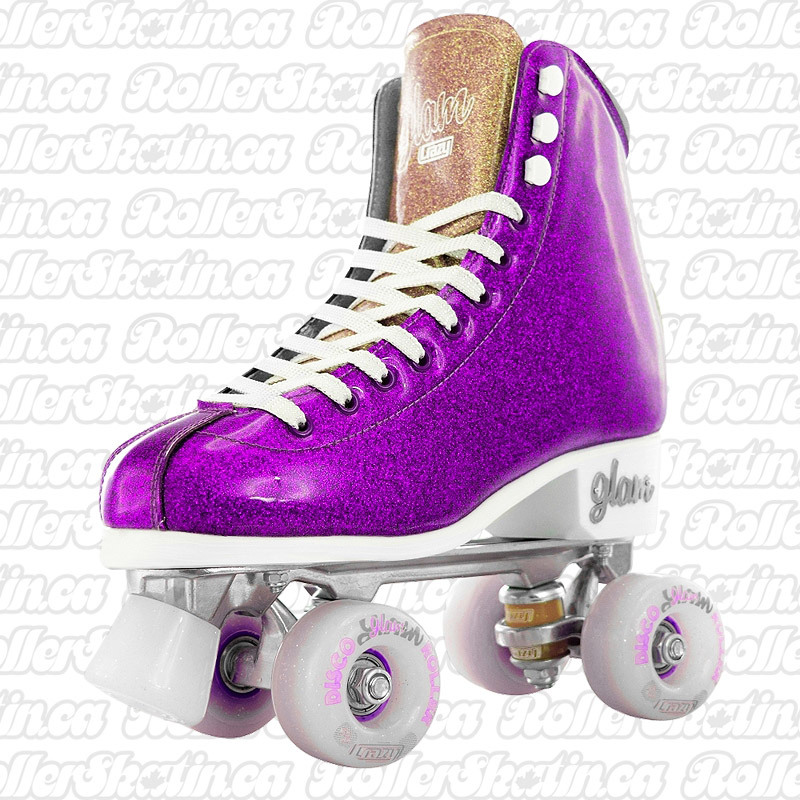 The CRAZY DISCO GLAM Roller Skates retains the traditional classic 'Retro' design and styling of the high-top roller skate but has been modernized with the latest technologies to perform like a championship skate outfit at a very competitive price! The soft interior and sturdy exterior Leatherette of the boot offers more support than a low-cut boot. The CRAZY GLAM boot fits wider at the toe box than traditional Ice or Roller skates too so it will accommodate more feet! The Disco GLAM Roller Skate makes you the centre of attention - featuring a lustrous glitter sparkle finish on a Retro Style Boot with a padded rolled collar you can skate for hours and look great at the same time. The FUN times keep on rolling with high quality glitter urethane wheels that are perfect for indoor and outdoor use - skate the beach, park or your local skating rink. Lace your GLAMS with the glitter sparkle laces, metal lace hooks and stop quickly and effortlessly with the glitter sparkle urethane toe stop. 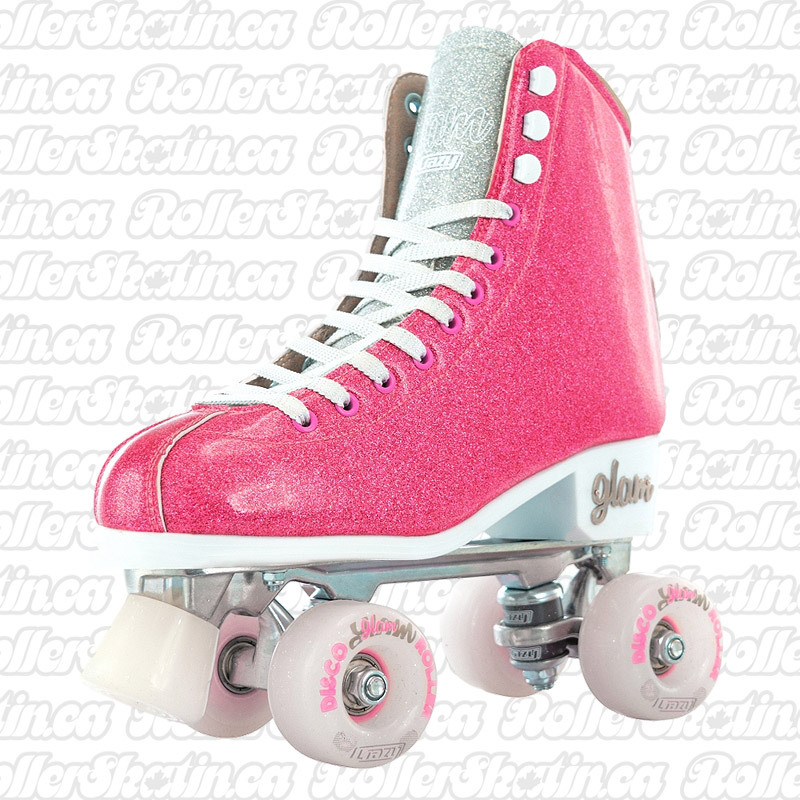 The GLAM package is rounded off with a cast metal alloy plate and trucks| making it one of the most feature packed| value for money and eye catching skates on the market today. This showstopper skate brings incredible performance - within a beautiful package! WHAM BAM - Skate on GLAM! NOTE: The measurements indicated on the right are the length of the actual insole, your foot should measure approx. 4-6mm less than the insole.